W.R. Grace is a Fortune 1000 global specialty chemical manufacturer. 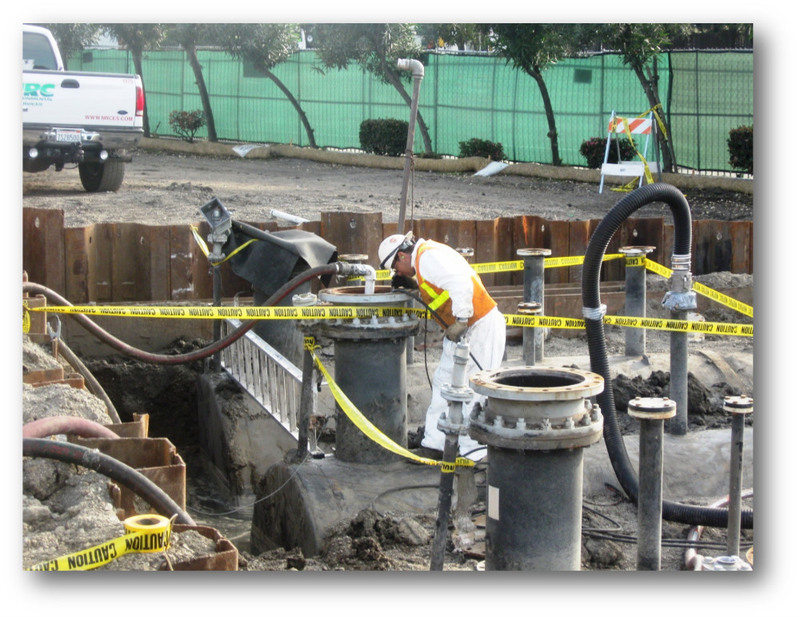 The San Leandro facility was a 5.5-acre property which manufactured sealants and concrete additives. Built in 1947, the facility prospered, however, over time, business eroded to where in 2008 the company elected to close the plant and move production. The task of implementing the closure was placed with NRC. Working in tandem with the client’s team of environmental staff and local plant personnel, NRC broke down the project into three phases and set up a six-month schedule to complete the project. These phases were the development of a Hazardous Material Closure Plan (HMBP), Facility Decontamination & Asset Transfer and UST removal. Completion of the project within a six-month time frame was a remarkable accomplishment. Crew sizes varied up to thirty person peaks to execute the work directed at 67 tanks, mixers and process vats, a mile of process pipe, a 200-ton mill, waste water treatment systems, and appurtenances/support structures encompassing the facility. Specialty equipment utilized on the job featured intrinsically safe lights, power tools, and hand tools to remove process heels, 1.5MM BTU ThermOx unit to degas and treat VOC’s, and Guzzler trucks to remove sludges from vaults and trenches. 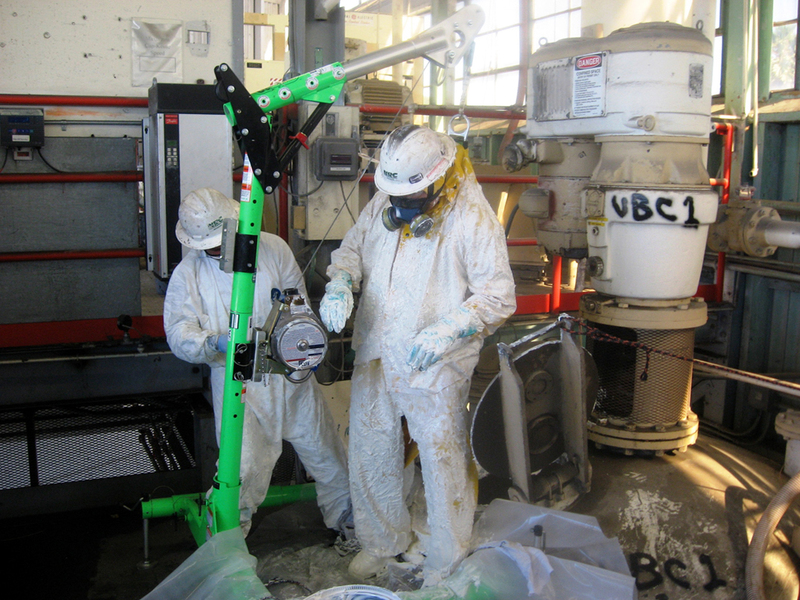 The largest component of work involved the removal of six organic solvent UST’s totalling 110K gallons in capacity. Shallow groundwater conditions, coupled with proximity to public infrastructure necessitated the installation of 6550ft2 of interlocking sheetpile shoring in order to safely extract the tanks. The tanks were cleaned in place using a solution of BioSolve dispensed at 1000 psi through a Gamajet IX. After degassing and inerting operations, the tanks were removed with a 92-ton crane, loaded to wide load permitted drop deck trailers and hauled to a permitted TSDF for processing. Installation of sheet pile shoring to mitigate groundwater intrusion. Cleaning and extraction of six USTs varying in size from 10K to 35K gallons. Work completed within tight 6-month schedule.